When looking for getaways from Chicago that keep you within state lines, everyone knows about small towns like Galena or bigger cities like Champaign-Urbana, Springfield, and Peoria. Which are all great, in their own ways. But when you’re looking for something different, it’s time to gas up the Ford Fiesta and hit the open road to discover some of the lesser-known gems the Land of Lincoln is hiding in plain sight. 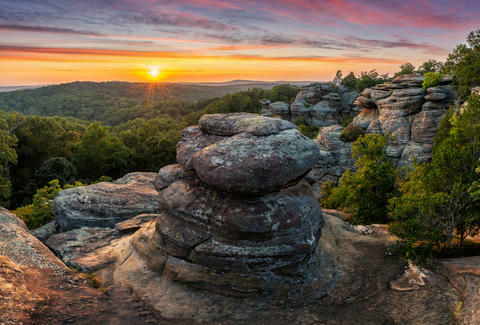 Why it’s so great: Known as “The New England of the Midwest,” Mt. 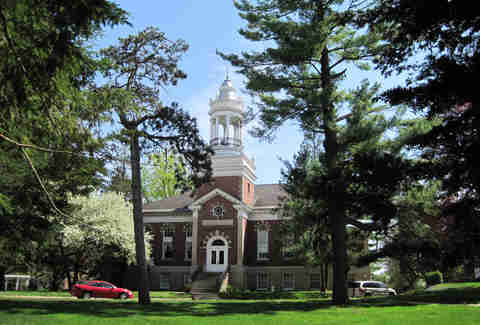 Carroll is a beautiful little town packed with historic sites like the Carroll County Courthouse (in continuous use since 1858) and the Nathaniel Halderman House, built in 1854 as the home of the town’s first mayor. But you’re not leaving here without checking out the charming weirdness that is Raven’s Grin Inn, which some have called (that means us) the most bizarre building in the state. Side trip: Eagle watching around nearby Savanna while exploring the limestone caves and ancient cliffs of Mississippi Palisades State Park is a must, as is a trip to laid back-biker bar Poopy’s to take down the massive Big Poop burger, which is way better than it sounds. Why it’s so great: Founded near the confluence of the Illinois and Mississippi Rivers in 1832, Grafton is not only “The Winter Home of the Bald Eagle,” it’s also a fun town with a floating winery in a marina they call “The Key West of the Midwest.” Rent pontoons to explore the surrounding rivers, take your bike along the scenic Sam Vadalabene Bike Trail, which runs parallel to the Mississippi River, or drive the Great River Road with some CCR blasting through the open windows. Side trip: Nearby Alton is not only the site of both the Lincoln/Douglas debate and the Historic Museum of Torture Devices, it’s also the home of the legendary Big Elwood on a Stick at Fast Eddie’s Bon Air, one of the best bars in the state. 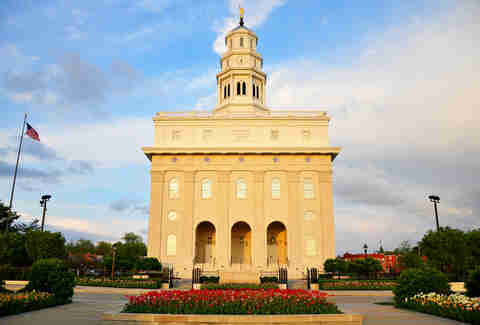 Why it’s so great: Once the largest city in Illinois (like, in 1844), Nauvoo is famous as the original home of the Mormon church, and today you can visit the home of Joseph Smith, as well as the sparkling Nauvoo Temple. But even if you’re not into Book of Mormon history, the Nauvoo Historic District is definitely worth checking out before hitting up the Wine Barrel bar at Baxter’s Vineyards, Illinois’ oldest winery founded in 1857. Side trip: Stroll the shores of Lake Horton in Nauvoo State Park, crash at the historic Nauvoo Grand B&B, and be sure to say hi to co-owners Estel and Cecel Neff of Neff’s Old House Bookstore. 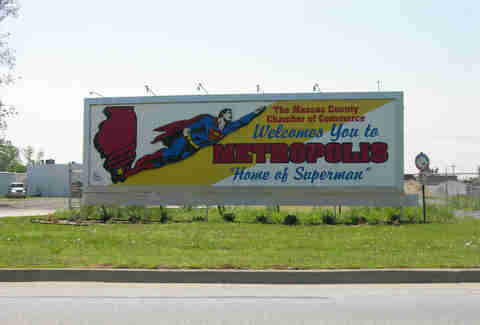 Why it’s so great: Perched at the southern tip of Illinois along the Ohio River, Metropolis is most famous for its Superman Statue, Super Museum, and yes, Superman Celebration held every June. You can also ride a horse and carriage through historic Fort Massac State Park, Illinois’ first state park founded in 1908 and current playground for activities such as historical reenactments and disc golf (not at the same time, of course). Side trip: Shawnee National Forest and the majestic Garden of the Gods is just a quick car ride away, as is the underwater petting zoo of Mermet Springs in nearby Belknap. Why it’s so great: Taken together with nearby Peru, Utica, and Ottawa, the Illinois Valley is home to some of the highest concentration of bars per capita in the country. Knock back a few with locals at area joints like Duffy’s Tavern and Waterstreet Pub as a toast to LaSalle’s hard-partying legacy when it was known as “Little Reno” in the 1940s. 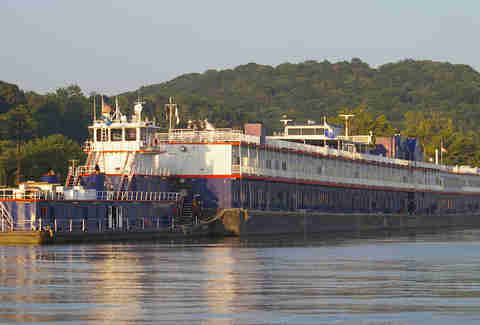 You can also take mule-pulled boat rides along the I&M Canal, tour historic mansions and, of course, tip back more booze at area wineries like August Hill and Illinois River. Side trip: Did we mention Starved Rock State Park is right here? Because it is, along with other lesser known but equally cool bluff-side attractions like Matthiessen and Buffalo Rock State Parks. 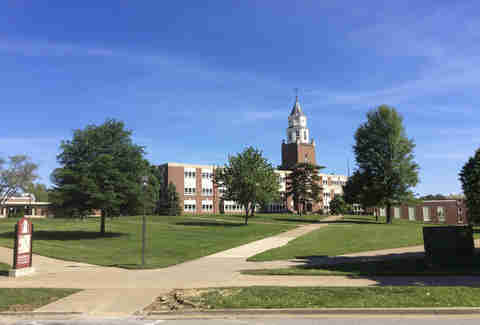 Why it’s so great: While Evanston and Champaign-Urbana hog the lion’s share of the state’s attention, Carbondale is quite content to slip under the radar as one of the state’s best college towns. 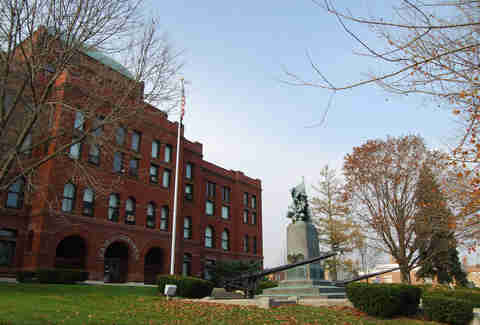 While The Strip near Southern Illinois University was Ground Zero for the infamous Halloween riots of the ‘80s/’90s, these days Carbondale is a friendly and relaxing town to grab a drink at places like The Cellar, PK’s, and Hangar 9 while enjoying the surrounding nature thanks to an astounding 14 parks in the vicinity. Side trip: Nature is great and all, but when you’re looking to feed the beast a trip to nearby Murphysboro is a must... for one reason and one reason alone: 17th Street BBQ, the finest BBQ joint in the state. 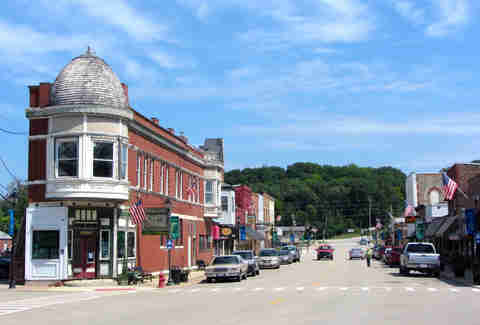 Why it’s so great: While Galena gets all the tourist accolades, beautiful little Geneva is just an hour west of Chicago on the Metra and begging to be explored. Take a bar/restaurant crawl through 3rd St Downtown, chill with birds at the riverside Island Park, or take in a breezy minor league baseball game with the Kane County Cougars. Whatever you do, Chicago will feel like it’s in another state by day two. Side trip: If you’re looking for more of a “big city” vibe, walk along the Fox River until you wind up in nearby St. Charles, where you can grab dinner overlooking the river at locals joints like Salerno’s on the Fox or take in a show at the historic Arcada Theater. 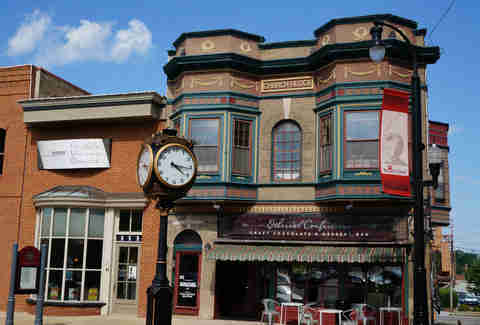 Why it’s so great: Most famous as the town Bill Murray couldn’t escape during Groundhog Day, you can tour famous filming locations from the movie or watch screenings during the town’s annual Groundhog Day festival. But there’s much more to this town located just an hour northwest of Chicago on the Metra, including the iconic Blue Lotus Buddhist Temple and a thriving local music scene at places like Liquid Blues, one of the best bars in the state. Side trip: For a taste of farm life, go one more Metra stop until the line ends at Harvard and get lost in rolling hills surrounding the country’s only apple maze at Royal Oak Farm Orchard.